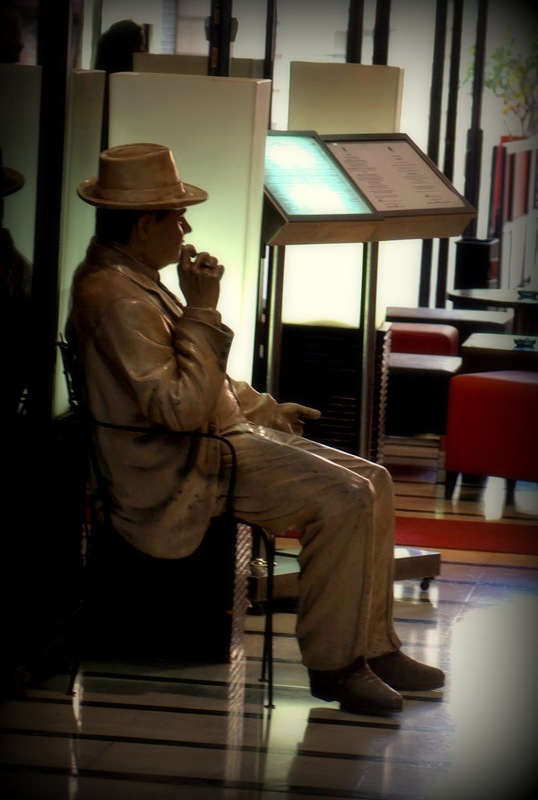 Big Al is having a Havana near the Ramblas… No idea why, but his statue sits in a passage going to the Villa de Madrid square. Anybody knows more about this??? Friendly looking chap, wouldn’t you say? 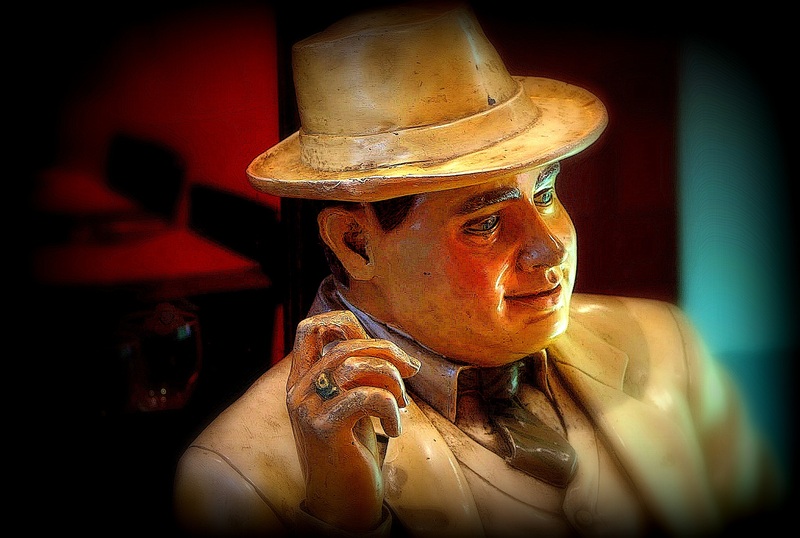 Sitges is the birthplace of Facund Bacardi i Masso, the founder of the eponymous rum distillery. 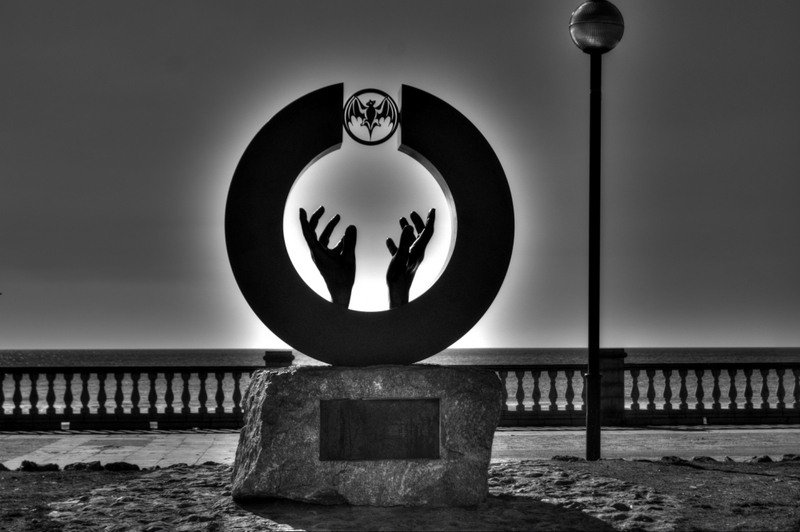 And the municipality of Sitges had the very good idea not to put the statue of the man himself, but this rather wonderful statue. I already posted this on my other blog, but I like it so much that I could not resist posting it here as well. 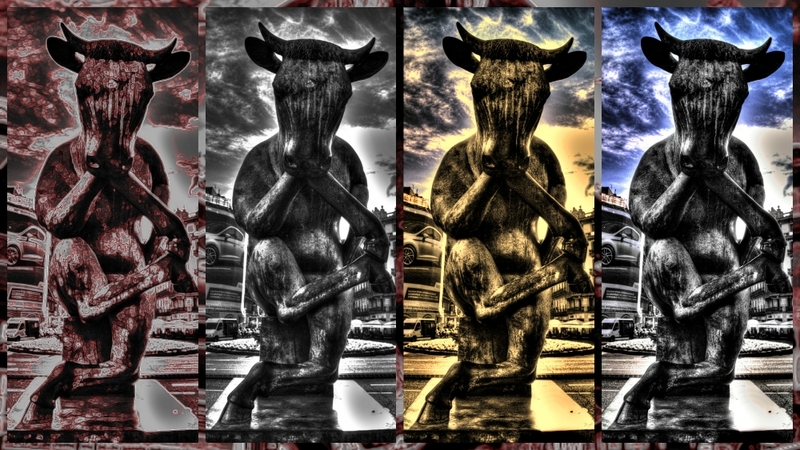 I’ve been wanting to post this small statue of a sitting bull near Passeig de Gracia for ages, but all my photos were just… dull, and lifeless. Here is one possible solution against this dullness. … are so often more important than the whole picture. 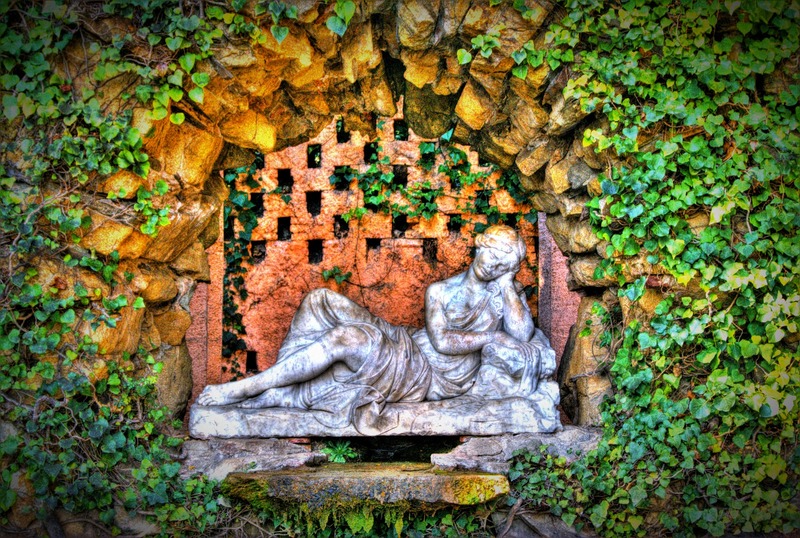 In this case, the entrance to the maze in Horta. 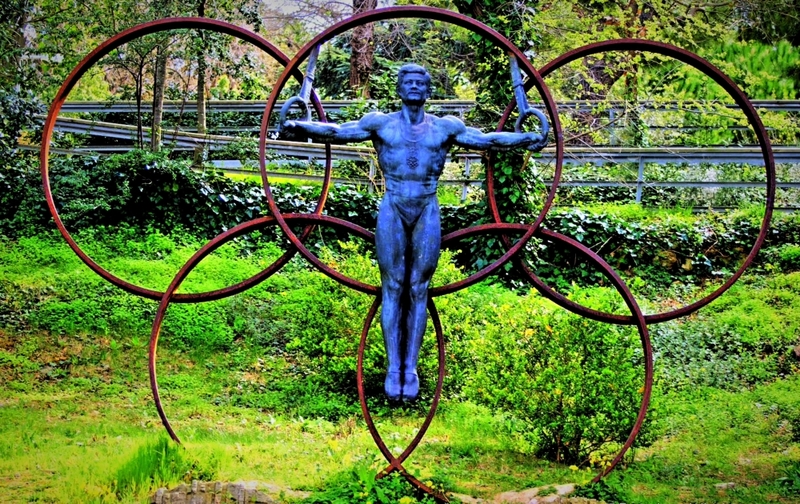 An avatar of the 1992 Olympics in Barcelona, inside a garden on Montjuic Hill. Looks almost Celtic, doesn’t it? 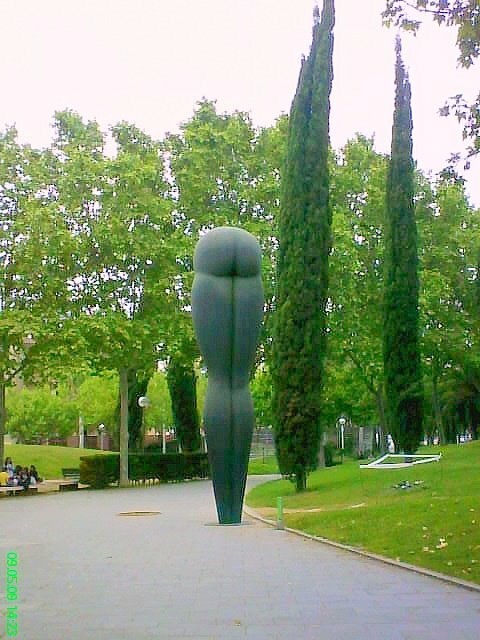 Well, it’s catalan, made by the Barcelones painter and sculptor Josep Subirachs. 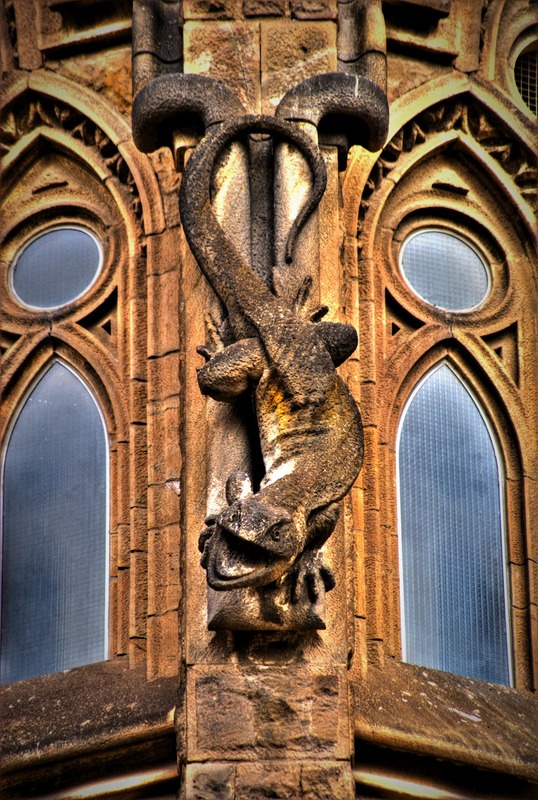 The whole cathedral is literally covered with animals, snakes, dragons, frogs, couple of cows, a giant turtle, birds, and so on. Here are a few of them. 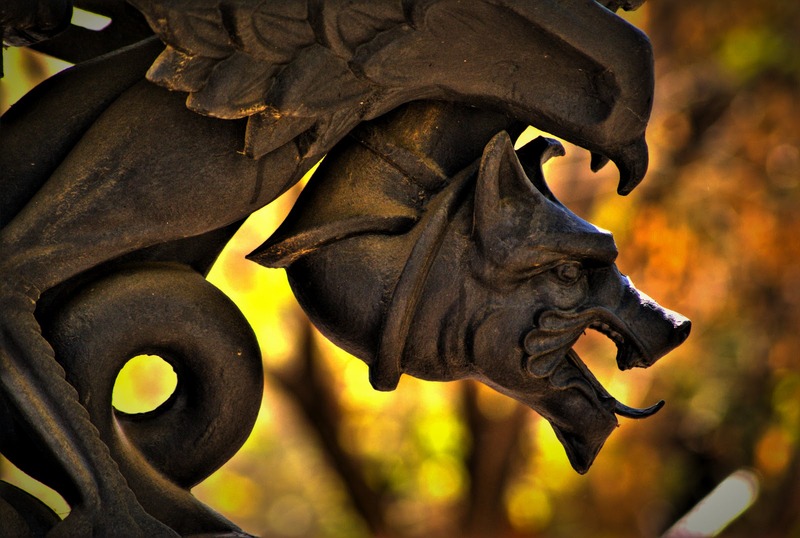 After Tuesday’s post, I realized/remembered that Barcelona is actually full of dragons! 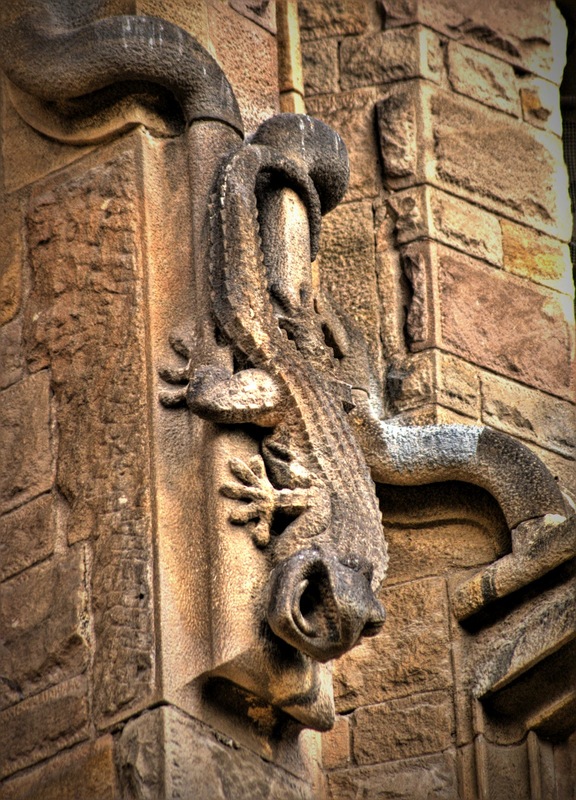 The modernists loved them, Gaudi made some, the most famous one being the one in Park Guell. 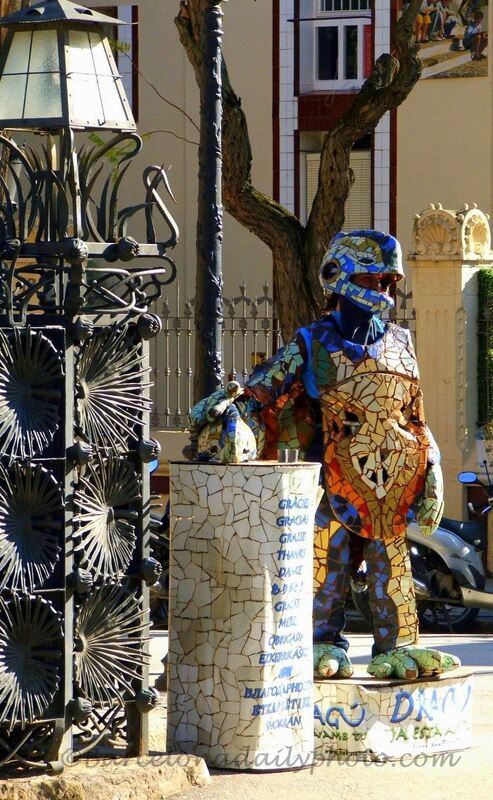 So here is one which figures on the monumental vases on both sides of Passeig Lluis Company. There are many many more, you jusr have to know how and where to find them. We will! The title of this post refers to the Hunt-Lenox Globe, a map made around 1503-1507, the world’s third-oldest world map. In modern day China, called East India on the map, it says HC SVNT DRACONES, or here are the Dagroians, described by Marco Polo as living in the Kingdom of “Dagroian”. 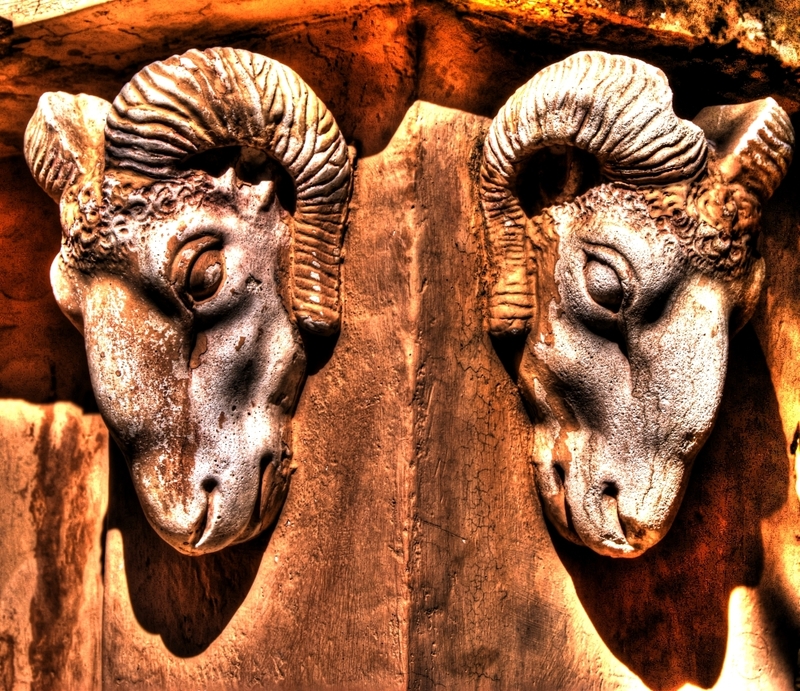 These people… feasted upon the dead and picked their bones” (B.II. c.14). Dragons appear on a few other historical maps. The T-O Psalter world map (ca. 1250 AD) has dragons, as symbols of sin, in a lower “frame” below the world, balancing Jesus and angels on the top, but the dragons do not appear on the map proper. The Borgia map (ca. 1430 AD), in the Vatican Library, states, over a dragon-like figure in Asia (in the upper left quadrant of the map), “Hic etiam homines magna cornua habentes longitudine quatuor pedum, et sunt etiam serpentes tante magnitudinis, ut unum bovem comedant integrum.” (“Here there are even men who have large four-foot horns, and there are even serpents so large that they could eat an ox whole.”) The latter may refer to the dragons of the Chinese dragon dance. The Fra Mauro Map (ca. 1450) has the “Island of Dragons” (Italian: Isola de dragoni), an imaginary island in the Atlantic Ocean. 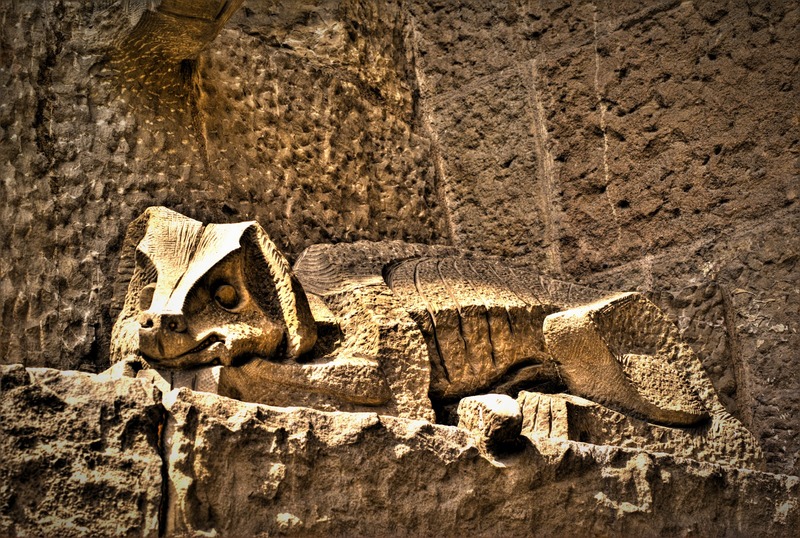 In an inscription near Herat, Fra Mauro says that in the mountains nearby “there are a number of dragons, in whose forehead is a stone that cures many infirmities”, and describes the locals’ way of hunting those dragons to get the stones. This is thought to be based on Albertus Magnus’s treatise De mineralibus. 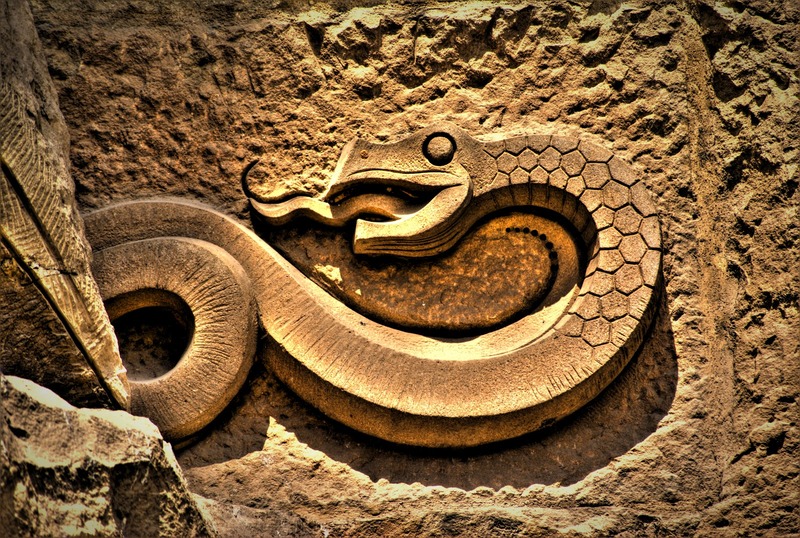 In an inscription elsewhere on the map, the cartographer expresses his skepticism regarding “serpents, dragons and basilisks” mentioned by “some historiographers”. A 19th-century Japanese map, the Jishin-no-ben, in the shape of Ouroboros depicts a dragon associated with causing earthquakes. 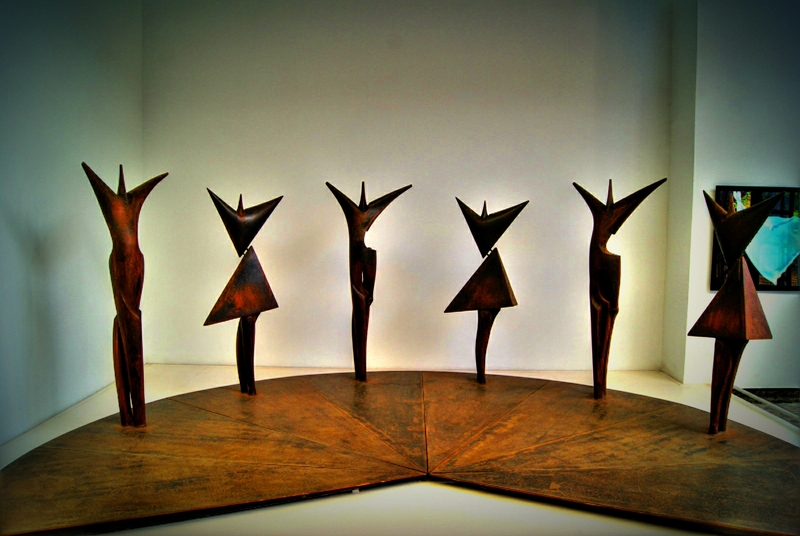 The sardana is a type of circular dance typical of Catalunya. The dance was originally from the Empordà region, but started gaining popularity throughout Catalunya during the 20th century. When you walk through Barcelona on any holiday, be it religious or not, you’ll almost automatically come across some groups of people dancing. And several statues across town celebrate it. 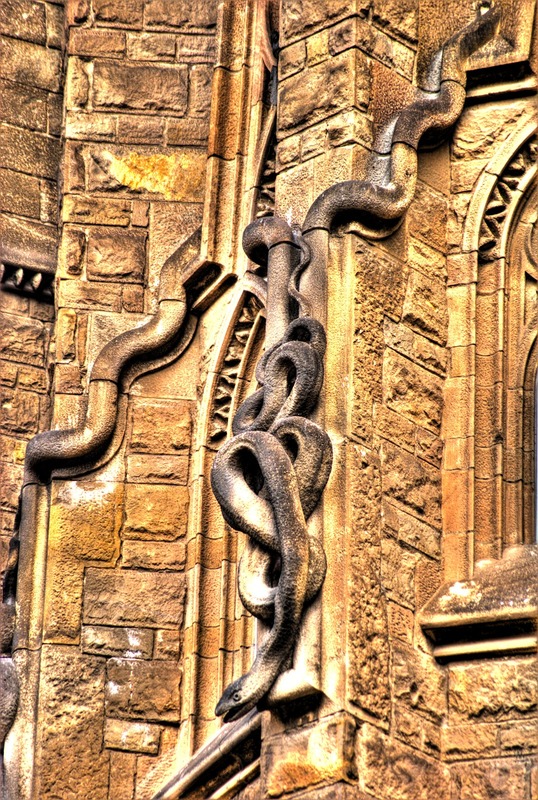 This iron one is on the Fundacio Fran Daurel, in the Poble Espanyol, by Manuel Alvarez. So what’s the news then? Not Barcelona, but Plaza de Espana in Madrid, last time Mandy had to go there. 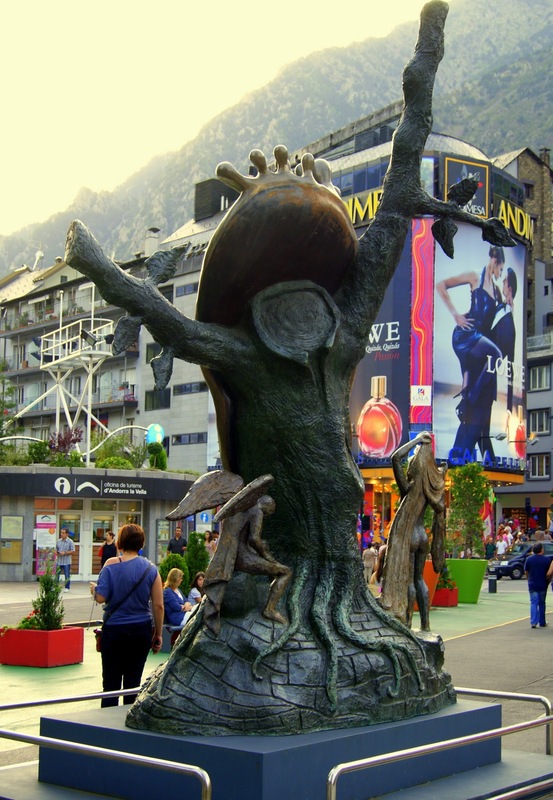 The Salvador Dali sculpture, the ‘Nobility of Time’ has been placed in Andorra’s capital city, in the Piazza Rotonda Andorra la Vella. It was donated to the Andorran government by Enric Sabater, who was Dali’s agent, collaborator and confident between 1968 and 1982. 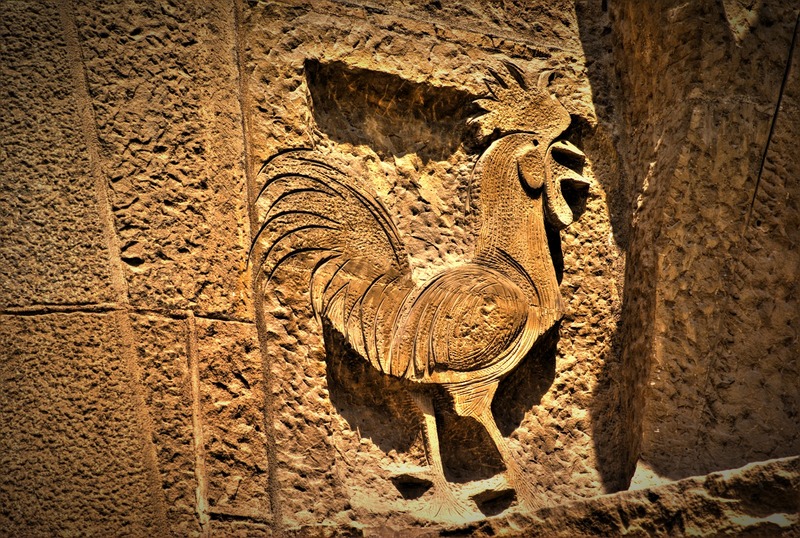 The stunning five meter high sculpture has been placed in the city’s most prestigious and historic square, in the towns oldest quarter which dates from the twelfth century. 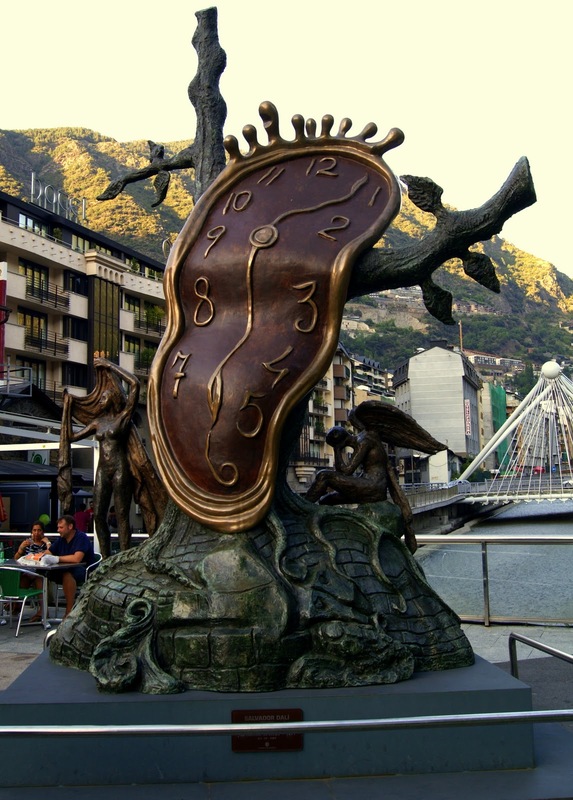 The bronze sculpture is one of the melted watch series of sculptures which was created by Dali to symbolise the passage of time. The soft melting watch is draped around a tree trunk; atop the watch face is a crown, synbolising time’s master over humanity. And here is the back side of it. Some more Rambla workers. It’s getting really cold here, they must be freezing! Well… What might they think? 1st of may. Happy day to all workers out there, specially to those actually working today. I just wish it didn’t fall on a saturday. 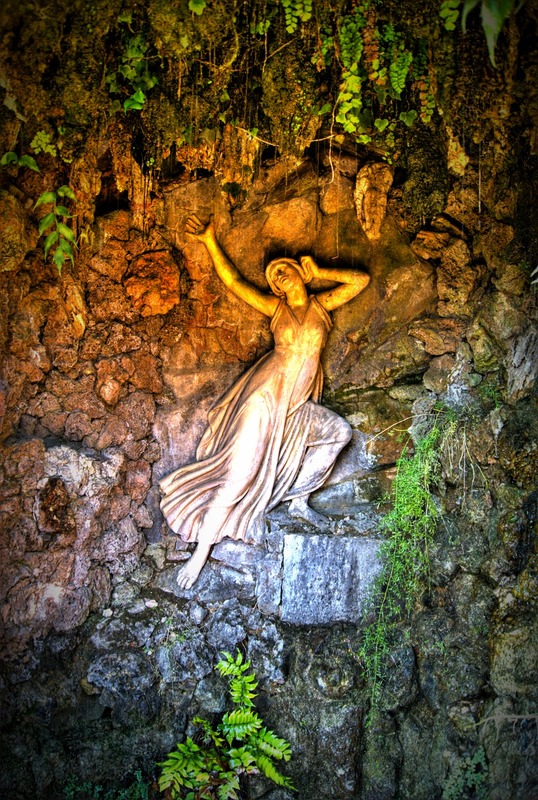 Anyway, theme day today: Statues. 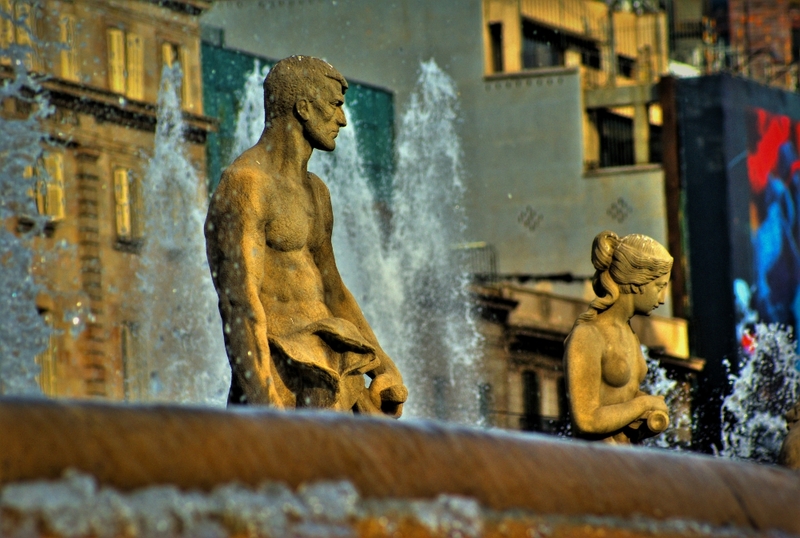 Which is a bit bad for me, as I showed you my favorite statues in Barcelona, the giant lobster, Botero’s ‘Gat’ and ‘el cul’ several times already. So…. 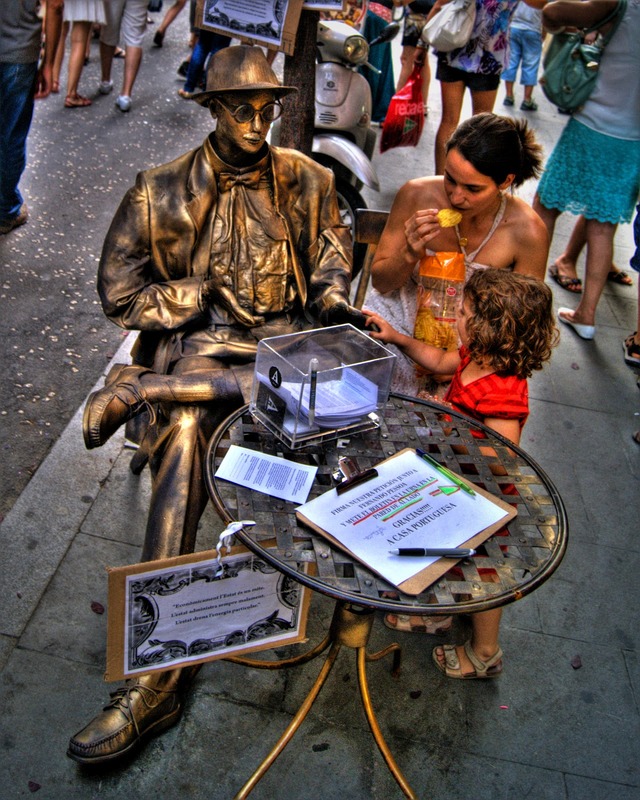 Barcelona is famous for it’s living statues on the Rambla. Here is one, announcing spring a few weeks ago. 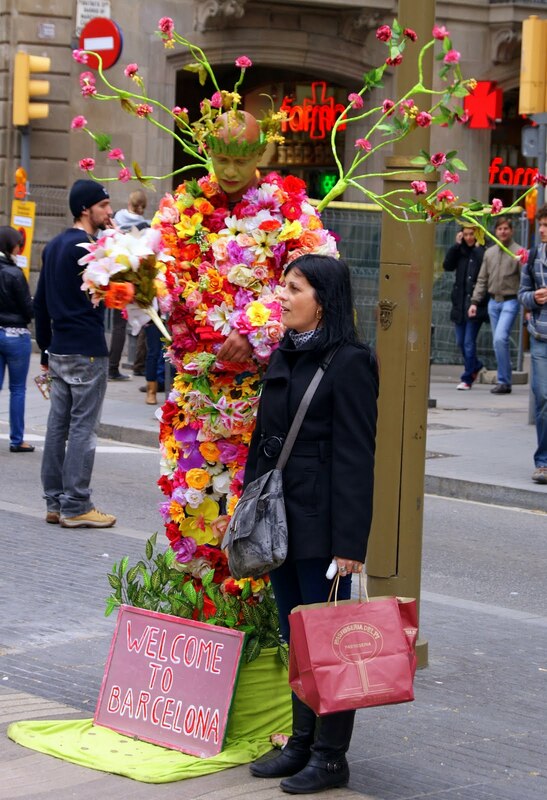 …and other strange creatures are to be found almost everyday on the Ramblas. A little assortment of them. For those who don’t know, the Ramblas are large avenues, former riverbeds in fact, very nice places for a stroll in the sun. 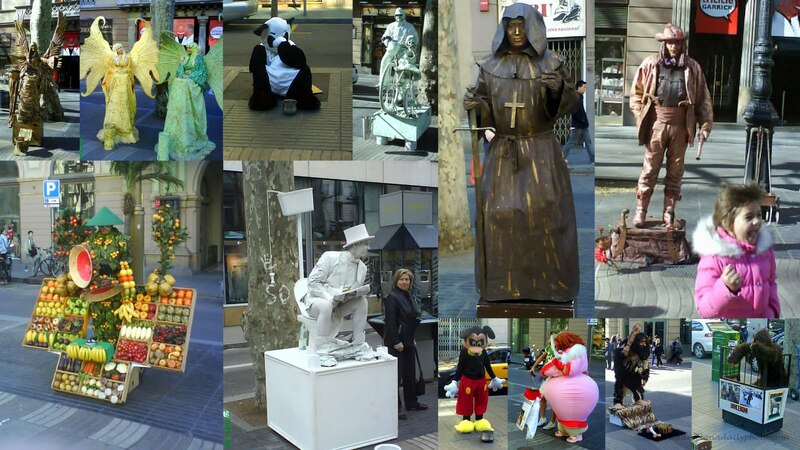 One can only admire these living statues on the Rambla! They stand or sit there for hours, not moving, in the heat, in the cold, waiting for someone to drop a coin in the basket or hat, but being mostly ignored. Ignored, laughed at, but mostly ignored. As there are always at least 25-30 of them on the Rambla, I suppose it is worthwhile. Not sure if I would have the strength or the patience to do it. 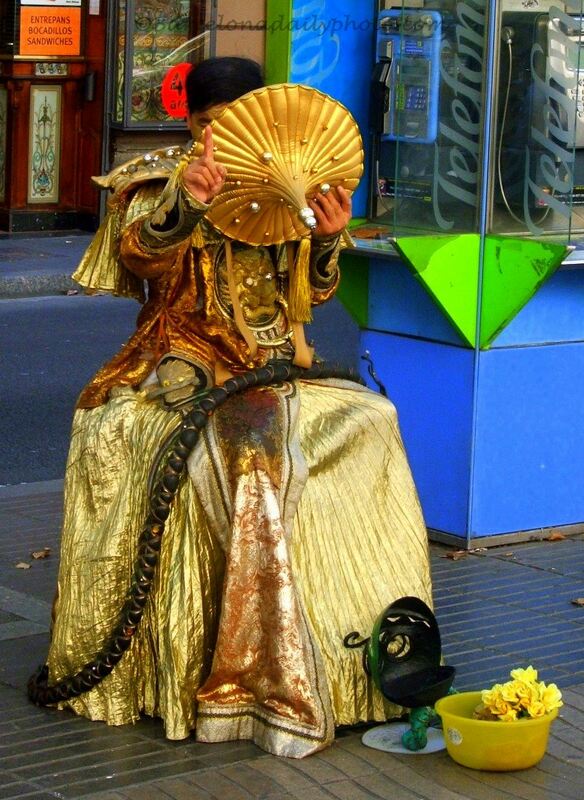 If you want to see another of those street entertainers, here is one I posted a long time ago. 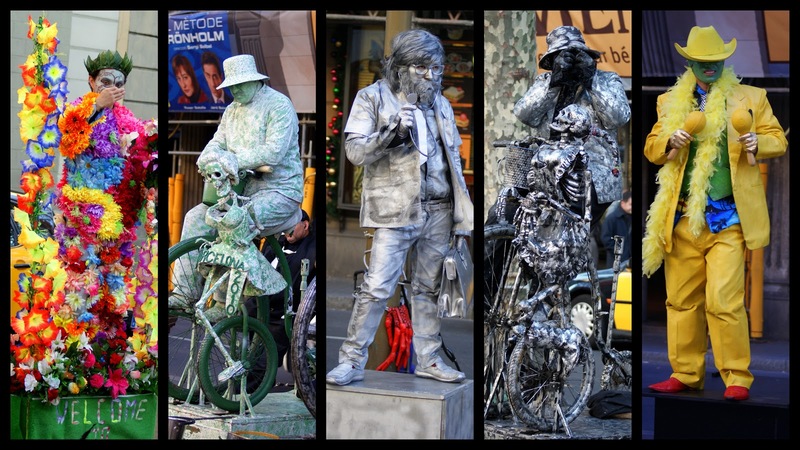 A living statue. Quite a few of them around, specially on the Ramblas (check the very public toilet I posted earlier). Many of them are actually really inventive, really good. 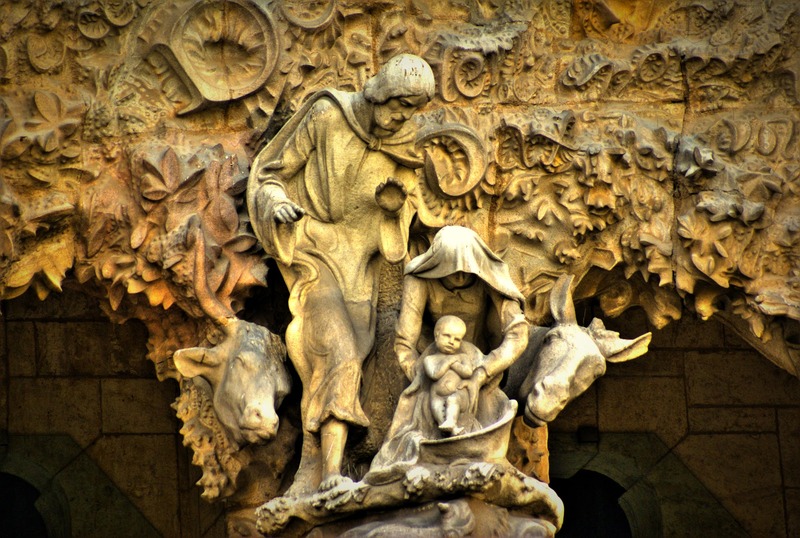 I found this one in the Casc Gotic, near the cathedral. 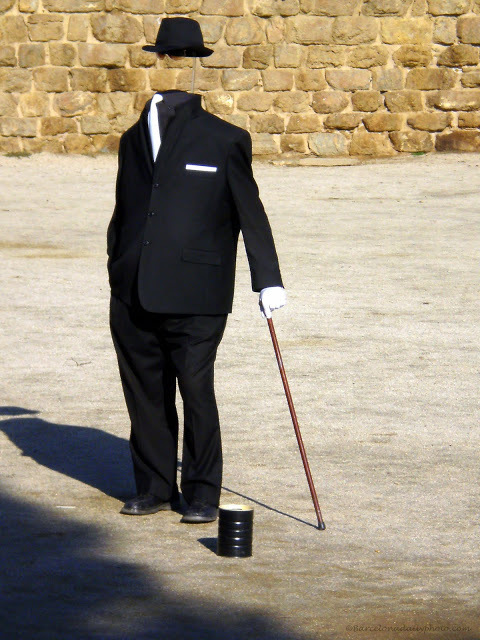 How it works: they stand there, frozen, until someone puts some money in the hat or basket commonly found near them. Then suddenly starts a flurry of activity, as they obviously need to uncramp (not sure if this word exists, but you know what I mean, I’m sure) their muscles. Usually something funny, getting shot by a cowboy, or bitten by a vampire, funny things like that. This one just made a few steps and froze again. Why not. Well, 2 good news today… IT’S RAINING!!!!!!!!! 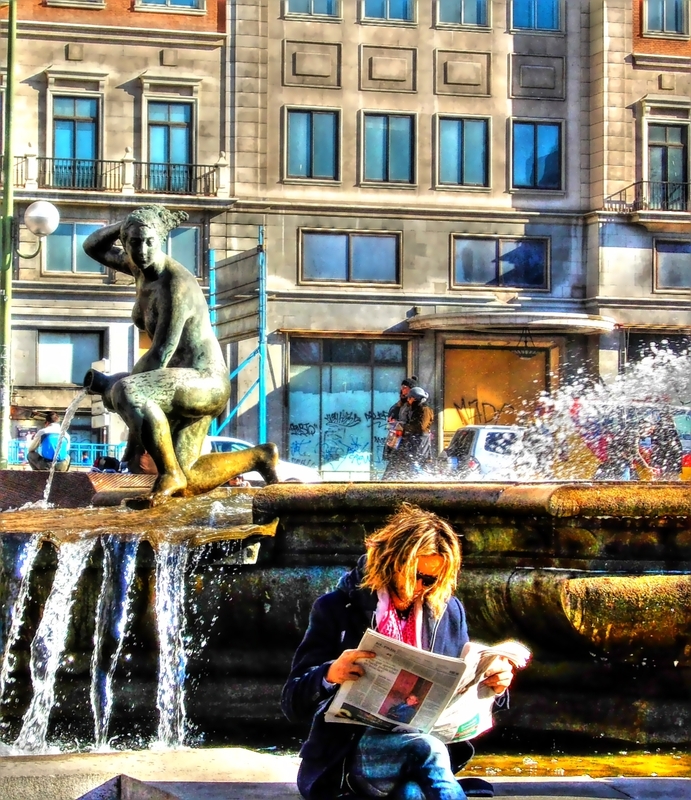 And, according to a local newspaper, El Periodico, Forbes says that Barcelona is the third happiest town on earth, after Rio de Janeiro and Sydney. Melbourne comes next. What do you think about, people from Rio, Sydney and Melbourne? And other places? And what does it actually mean??? For myself, I believe it’s just hot air, nothing more, just pure nonsense. After deciding to join the Daily Photo idea, well, this is my first posting about where I live now, the beautiful city of Barcelona. 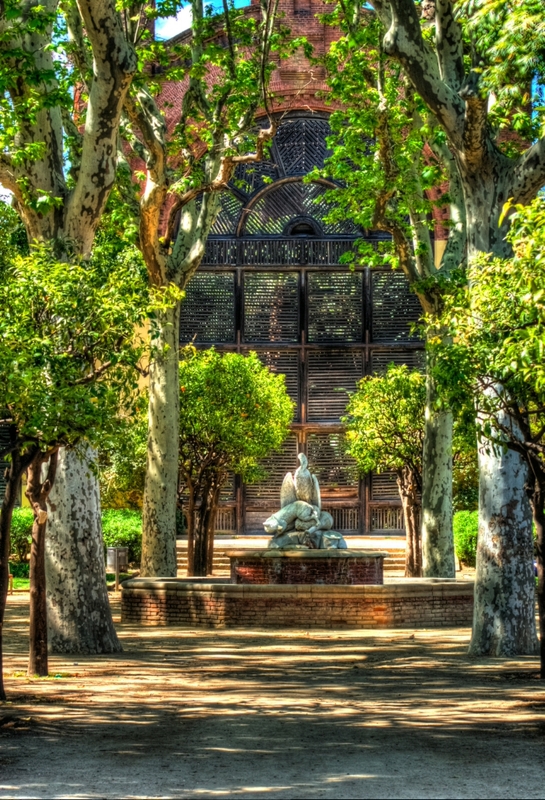 This was taken in a park on the Avenida Icaria, in the area known as Poblenou. Poblenou was an industrial area, and was totally transformed in time for the Olympic Games in 1992. Lots of art everywhere, some a bit weirder than others. Well, I like this statue.